Very interesting and well illustrated, I loved your comment on the final picture. 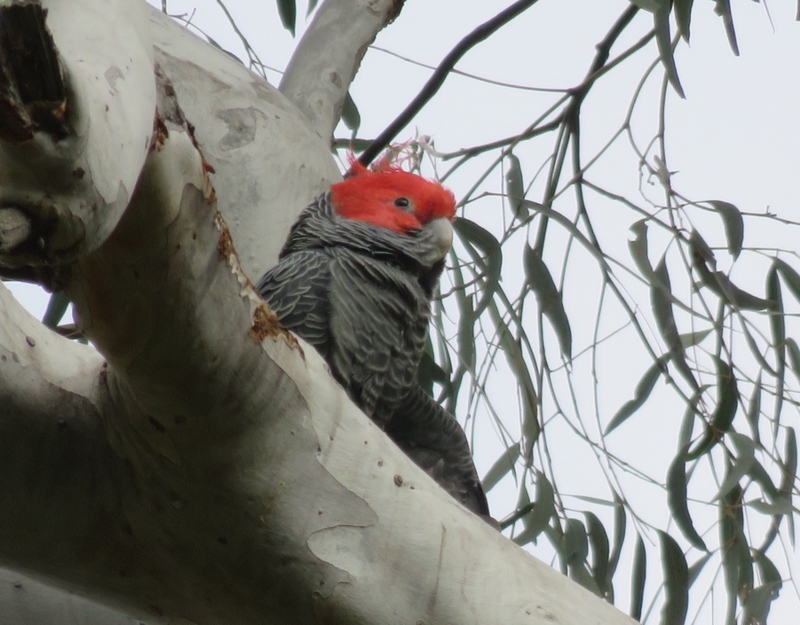 Thanks Susan, I hadn’t seen any Gang-Gangs around Canberra, so it was interesting to seek them out….although the White Cockatoos always have the last word! Such pretty birds. With their dark color I can see how they would be harder to find. 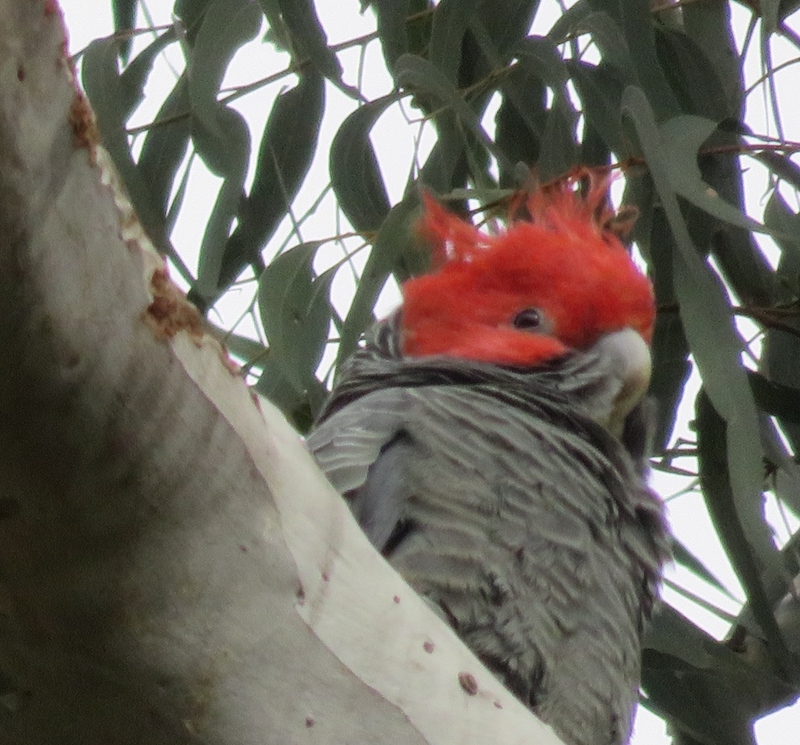 Yes, the female is very hard to see in the Eucalyptus trees…which they love. the red head yes, but if the lady is alone and chooses not to be seen. I think the Gang-Gang female is well disguised! Well, I was done for at the sight of that cute fluffy red head. What a heart melter! Yes, I couldn’t agree more…aren’t they cute! Lovely! 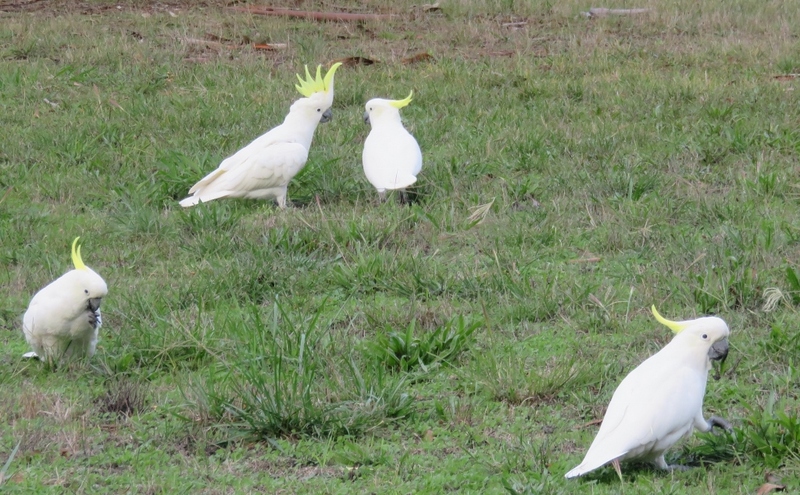 I did get the impression the white cockatoos like to have the last word. 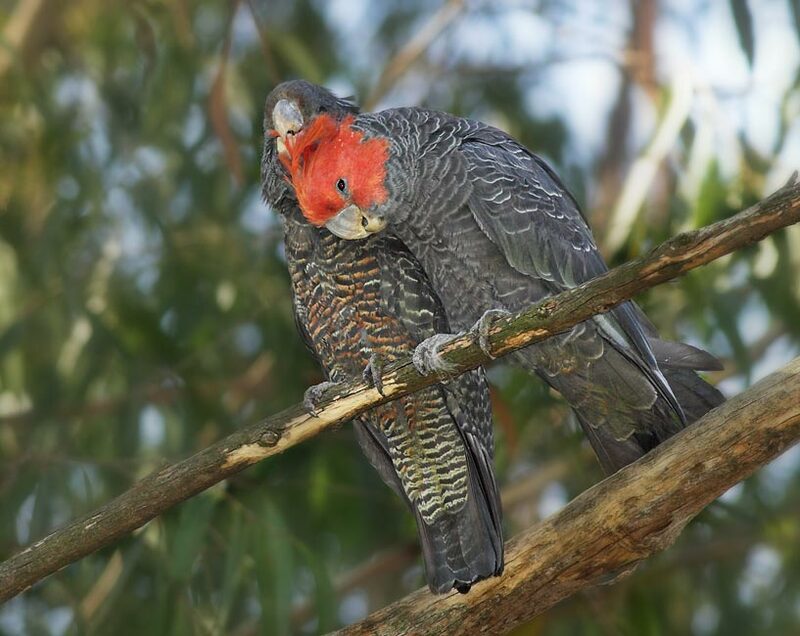 In one of our rented Queensland cottages they would fly around the valley every evening making one heck of a racket. Yes! When they all screech together the noise is deafening! Nice idea to have a feathered garden in the trees, but I’m not sure I could stand their screeching down in the house! What fabulous birds you have in your city. 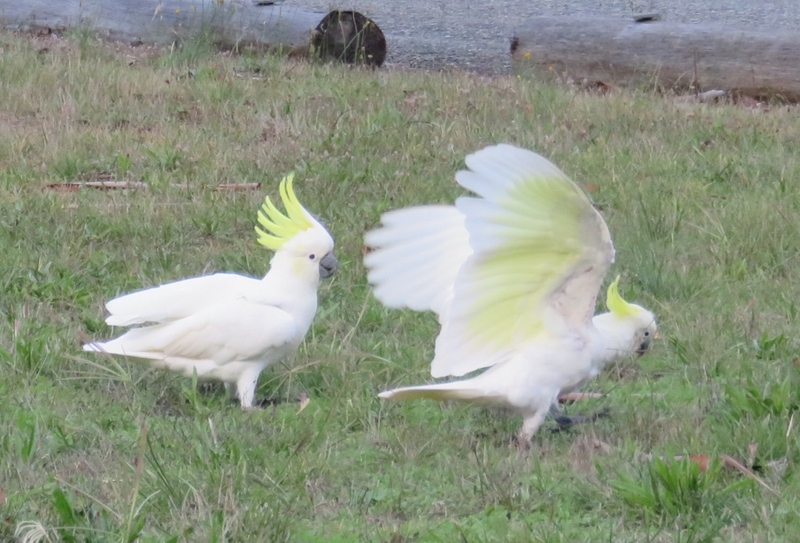 Though I may have a preference for the Sulpher Crested Cockatoos – so lively and so much personality! I have to agree, I just can’t but help love the expressive cockatoos, even though they nip the tops off my roses…just for fun. Yes, they definitely do have SO much character and very smart! What a treat to have those lovely creatures to watch. I suspect I’d have my gaze in the air all the time, except when on the lookout for all the poisonous creepy-crawlies you have down there! Cockatoos just seem so exotic, it’s a bit hard to imagine getting used to seeing them on an every-day basis. 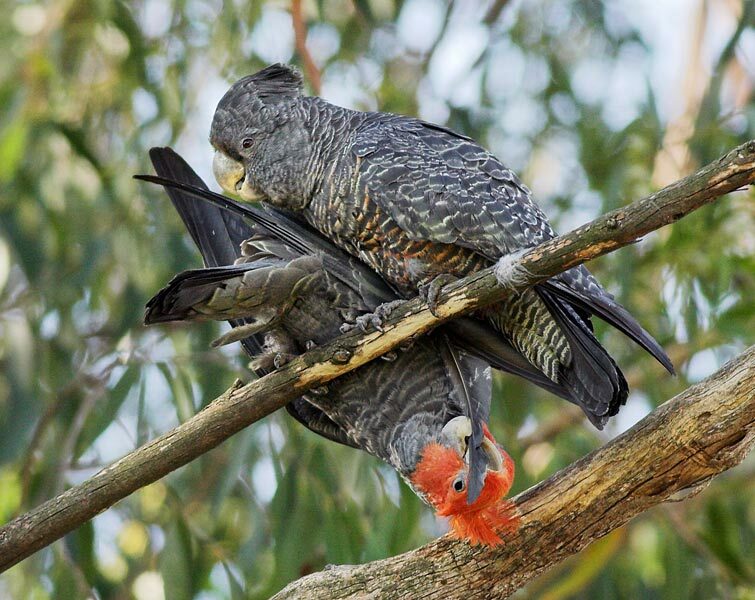 Yes the Cockatoos are wild, but yet, in Canberra because we have so much grassland between suburbs, they are quite used to people…and a treat to watch. I love Gang-gangs. I only ever saw them once in three years of living in Canberra, but I was so excited! It still makes me laugh, how quiet and ‘tweety’ English birds are by comparison though! Yes the Gang Gangs are very shy & cute compared with their noisy cousins!